Video background plays a significant role in creating a video. We know that people’s attention is easily distracted by moving things, like a dog ignores everything in its world when chasing a pesky squirrel. Many video channels and marketers love video backgrounds because they make their videos look modern and create a sense of what they want to convey in the videos. I collected some of the best video background changers that you’ll be interested in in case you need replace the old backdrop with a new one in the near future. 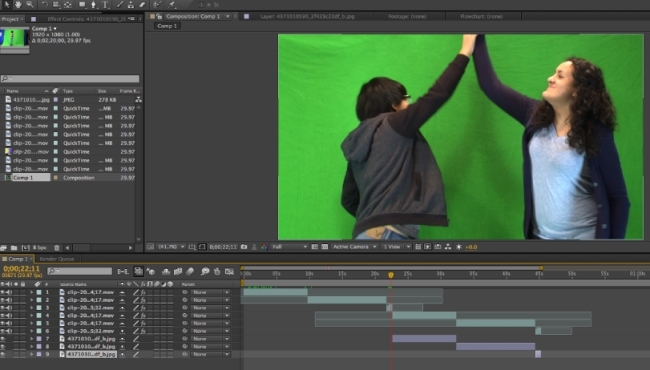 After Effects is a great video editing program for Windows and is part of the Adobe suite. When you use After Effect to change your video backdrop, you’ll find the interface is very similar to Adobe’s other editing programs, for example, Photoshop. You can check how to change video background with it. The method used to change the background image is a little masking. If you have installed AE already, click the “File” > “Import” to load your video into the software, select the part of the video you wish to change by selecting “Edit” and then “Split Layer”, choose the pen tool and draw an outline on the parts of the video you wish to keep, then select your background layer and drag it onto the timeline. You can then use the extra effects in the program to change the color and curves of the video. KineMaster is a great mobile app you can use to change video background. It is also a great tool for editing videos basically on your Android phone and tablet. You can download it from your Android Market. Although it is a mobile app, it has the green screen feature to help users add new background. Keep in mind that you must have access to a green screen, otherwise you will not be able to successfully change the background with it. You can click the “Add” > “Empty Project” to create a new project. Then select “Import Image” to add your background image to the project, click the “Layer” and import your green screen footage onto the background. Once the green screen footage is there, click the “Chroma Key” and enable the feature and you’ll be allowed to replace the backdrop with the image you like. You can customize the video with all tools available within the program. Chromavid is a great video background changer for iOS users but this app doesn’t need a green screen compared to the Android KineMaster. You can set the background color for shooting a video. For example, if you have a blue or red wall then you can set the app to filter that certain color out in the editing phase. This means the background needs to be uniform when recording, it does give a lot more options. 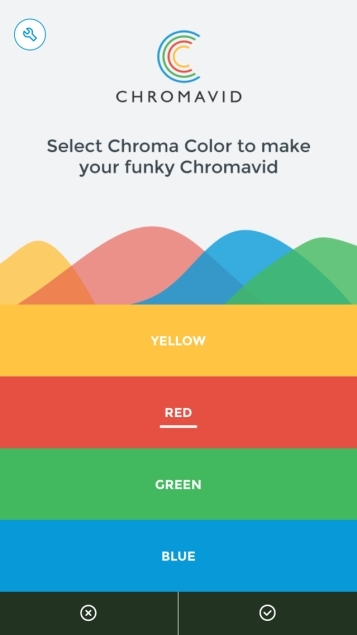 Launch Chromavid, select video to start editing your pre-recorded video, choose the color of the background you were standing against when recording, add a background image to your video in the app, select the video and put it on top of the new background to create your video. 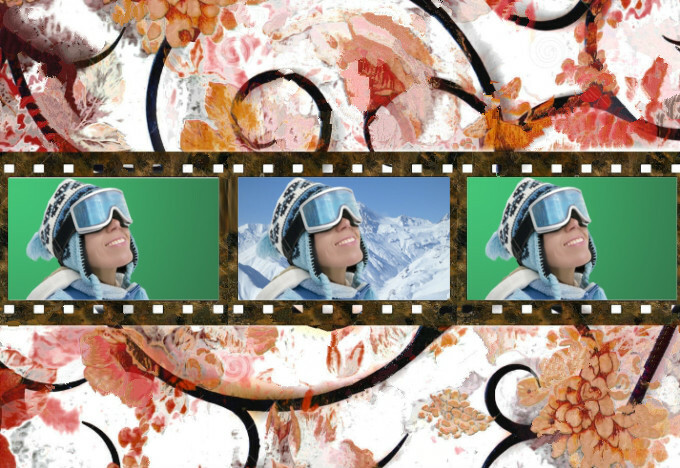 VideoStir is a web-based service to change video background. Like the above mentioned apps, you need shoot your video in front of a colored wall. Any color is okay, like a white wall or a blue sky. In other words, you cannot change a video which has a clutter backdrop. The process is very simple. You upload a video and the image you prefer to the website. Wait for several minutes, the web service will automatically replace the background with the image. When the process completes, you can download the result clip that mixes your video with the image background. You probably know how to change video background from simply altering the backdrop with online and mobile app to professional editing program. If you haven’t tried the methods yet, now is surely the time. Or if you have better ideas, do not hesitate to leave it here. We’d like to keep this list up to date.